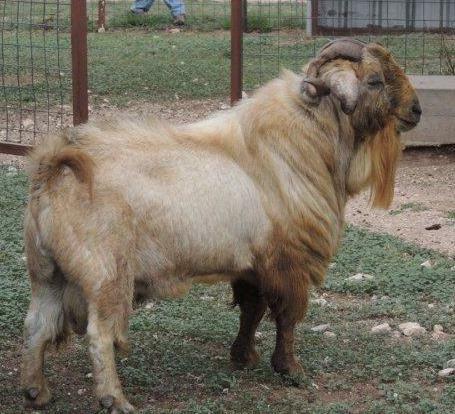 Although pneumonia is usually a summertime illness in goats, it is by no means a given that pneumonia won't strike goats in the wintertime.Today in West Texas the high is 81*F with 82% humidity ( but not a drop of rain) and five mph winds from the south. By late afternoon, winds will be blowing from the north and overnight temperature is forecast to be 30*F with wind gusts to 30 mph. Tomorrow's high temperature will be 42*F with 25 mph winds. Tomorrow night will be about 20*F. In two days, temperatures will be back in the high 70's/low 80's and wind will again be blowing dust from the south. Typical December in West Texas. Prime pneumonia conditions for goats. Other parts of the USA have more constant weather patterns; for example, when it gets cold in places like Minnesota, it stays cold, and goats don't have to adapt to frequent and wide temperature swings. But a significant part of this country where goats are being raised tends to experience wide swings of temperature, particularly in winter. Goats do not adjust their body temperatures well when dramatic weather changes occur. This is particularly true for kids but can affect adults. Lots of long fiber (grass hay) is required to keep the rumen functioning and the body warm. Do *not* feed grain at night. Feed grass hay free choice (24/7), with emphasis on hay availability at night.I am a firm believer in vaccinating against pneumonia. For years, I've used Colorado Serum's pasteurella vaccine but this year the Colorado Serum vaccine isn't available and likely won't be until sometime in 2013, necessitating that I vaccinate with two other pneumonia vaccines. I started using Presponse HM made by Boehringer Ingleheim on bucks after an outbreak of pasteurella pneumonia in a herd of 15 adult bucks. See my article on pasteurella pneumonia abscesses in the MeatGoatMania archives. Bucks lead stressful lives, constantly challenging each other for supremacy in the pecking order. I maintain multiple bucks together when they are not breeding because (a) I sell a lot of bucks and (b) I keep about a dozen genetic lines of my breeds. The Presponse HM worked well and I have continued to vaccinate bucks with it. Presponse HM is a newer product than the Colorado Serum pneumonia vaccine. Presponse HM is also about ten times the cost of the Colorado Serum pneumonia vaccine. I have continued to use the Colorado Serum pasteurella pneumonia vaccine with good results on does and kids. It may work just as well on my bucks, but I've been spooked by the pasteurella abscess experience. My vet recently introduced me to the Poly Bac B Somnus pneumonia vaccine by Texas Vet Labs. I am using it this winter alongside the Presponse HM, identifying which herds received which vaccine. I will evaluate responses over the next twelve months to try to determine if one works better for me. 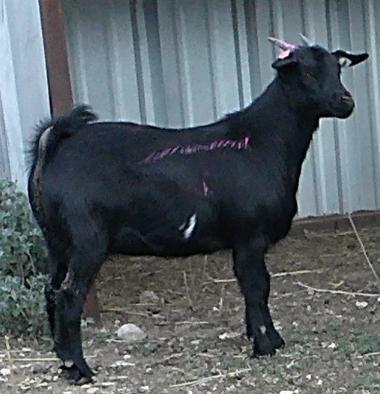 My vet is a firm believer that either Poly Bac B Somnus or Presponse HM should be used to prevent pneumonia in goats. Both vaccines are off-label usage with goats. How I dose with Presponse HM: Naive (never vaccinated kids or adults) goats receive two cc SQ, with a follow-up booster in 30 days. 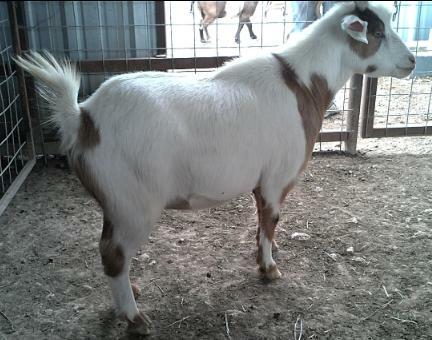 If the goat has been vaccinated against pneumonia within 12 months, I booster with 2 cc SQ (under the skin). How I dose PolyBac B Somnus: Naive goats receive 2 cc SQ, unless they weigh 60 pounds or less, in which case the young goats get 1 cc SQ. Although the bottle says booster with a second injection in 14 days, I prefer to wait 30 days. This time delay has not proved to be a problem in terms of efficacy (effectiveness). Goats already vaccinated within the last 12 months should receive a 2 cc booster injection. The Texas Vet Lab vaccine for both pneumonia (Poly Bac B Somnus) and the new CL vaccine are temperature sensitive and require care in handling. See my article in the July 2012 issue of MeatGoatMania on how to handle Texas Vet Labs vaccines properly. I vaccinate against pneumonia (and overeating disease/tetanus) at one month and two months of age and then annually thereafter. Pregnant does should be boostered with both pneumonia and CD/T vaccines at least six weeks before parturition (kidding). Tennessee Meat Goat™ and TexMasters™ are available now. TexMaster™ buck 'BTR Whatever' for sale now.